The SNBP International School is ranked 1st for the curriculum it follows under the category of 'National Curriculum' and The SNBP School is ranked 1st for the curriculum it follows under the category of 'State Curriculum' by Times School Survey, 2017'. 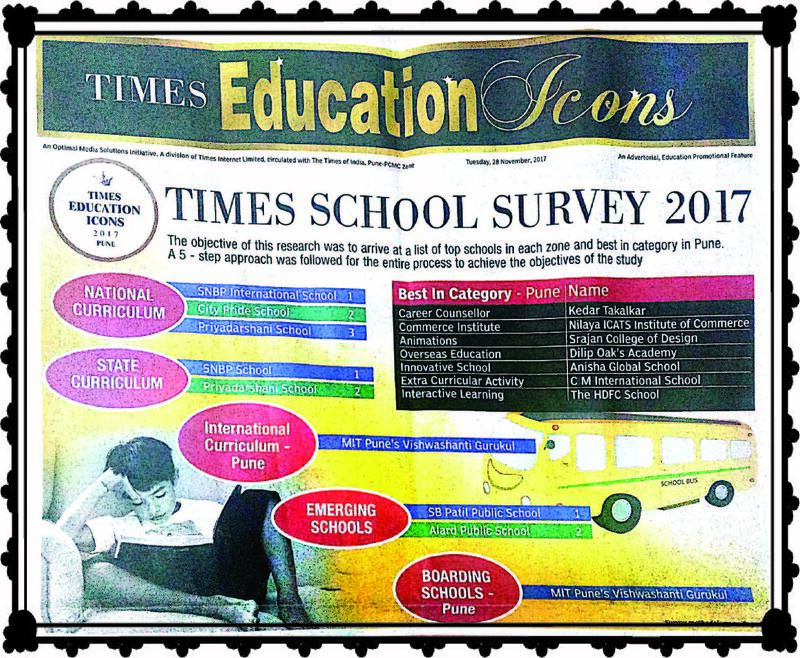 The survey was conducted by the Times of India group. Please find the attached PDF files. A class 5 student Aniket Parashar has developed a search engine www.searchbee.tk. According to Aniket, it is a small effort to have the world in your hand. One can search for anything on it. His team is regularly making updates like adding images, instructions, news, videos etc.The site has more than a lakh hits and visitors from Spain, USA and Australia. He requests all of us to join the movement by just clicking and sharing on the page and give more hits. For any help you may please send a mail to aniket@searchbeesite9.net or parasheraniket23@gmail.com.